I have been an avid user of various Wacom devices, tablets and displays for many years now. Starting with an Intuos tablet back in the late nineties all the way to my beloved Cintiq that is my main work horse today. Wacom tools have made the impossible possible in many ways and have shaped the way I work tremendously. Some new videos showing me working with this amazing tool will be available very soon. 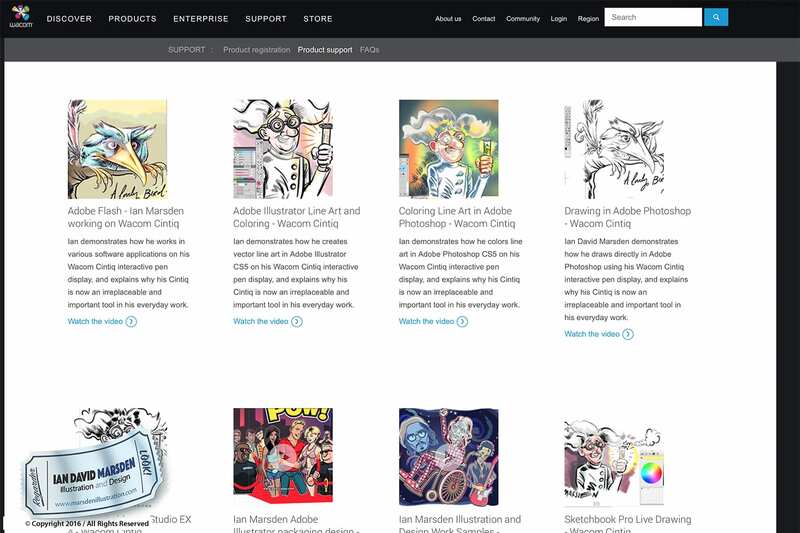 such as Adobe Photoshop, Adobe Illustrator, Adobe Flash, Manga Studio and Autodesk Sketchbook Pro. Here is a selection of these videos, which can also be seen on my YouTube Channel. If you would like to see more of my videos, please visit my YouTube Channel.